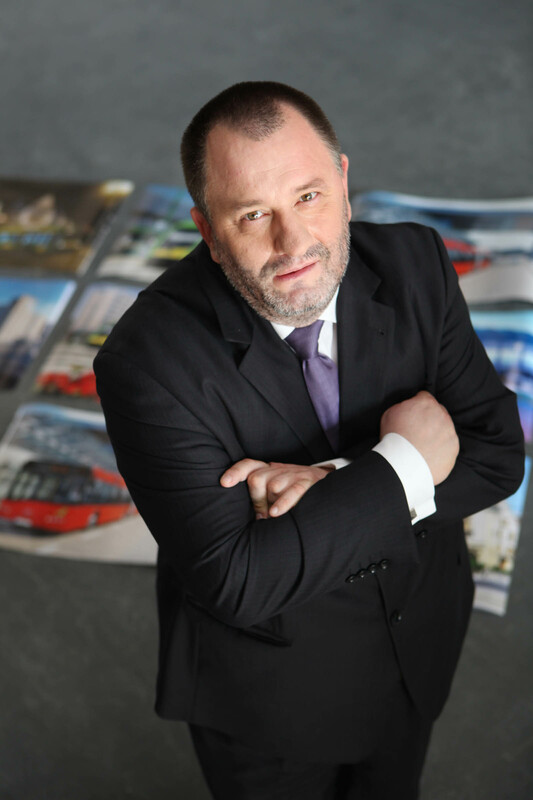 Zbigniew Palenica is member of the Solaris Bus & Coach S.A. board of directors as executive board member for Rolling Stock. After graduating from Cracow University of Economics, Palenica started his career at a major insurance company in Germany. At the same time, he completed postgraduate studies at the University of Frankfurt-on-Main. In the middle of the 1990s, he joined the Cracow City Transport (MPK Kraków), where in 2003 he was made a member of the company’s board of directors, responsible for its finances and investment projects. Since 2006, when he was made the company’s vice president, Palenica supervised the significant investment projects, including the acquisition of EU funding and financial negotiations with the EIB and EBRD. Palenica is actively involved in the works of the Polish Chamber of Urban Transport (IGKM) and the International Association of Public Transport (UITP). In January 2010, Palenica was appointed the chairman of UITP’s light rail division and the association’s vice president. He was the first Polish member in UITP’s history to hold a managerial position in the association. Palenica was appointed to the Solaris Bus & Coach board of directors on 1 June 2012. Zbigniew Palenica is married with three sons. He enjoys chess, literature (particularly historical novels) and hiking, most in the Tatra Mountains.